OSHA recently promulgated a final rule to ensure the competency of crane operators through training, certification or licensing and evaluation. Central to the final rule’s provisions is clarification that, in addition to the certification of crane operators, employers must continue to evaluate operators for their ability to safely operate equipment. Before the amendments to the standard addressed in the final rule, the separate employer duty to evaluate operators was to cease the date operator certification was required. The overlap between requirements in the preexisting standard and the amendments, as well as the changes that are now in effect, has caused confusion among employers, which OSHA has attempted to address with a frequently asked questions (FAQ) document. Here are some key points in the FAQ. The amendments do not change the definition of employers that are covered by the standard. The certification requirement is not new, but it is amended. OSHA has removed the provision that certification include the crane’s lifting capacity. The primary reason for this is that the two testing organizations that have certified the majority of operators have issued certifications by type but not capacity. These certifications, therefore, would not have been valid without a change to the rule. There is no prohibition on a certification’s including information on lifting capacity. The amendments preserve the requirement that employers evaluate the ability of their operators to run the cranes they will be using for the tasks to which they are assigned. This evaluation must be done by a person who has the knowledge, training, and experience necessary to assess operators. 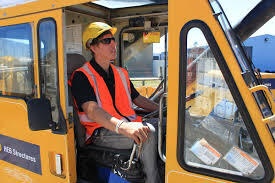 Once an operator has passed an evaluation on one piece of equipment, the employer may allow that operator to operate different equipment without further evaluation if the employer can demonstrate that operating that equipment would not require substantially different skills, knowledge, or ability to recognize and avert risk. The evaluation must be documented and provide the operator’s name; the evaluator’s name and signature; the date of the evaluation; and the make, model, and configuration of equipment used in the evaluation. The employer must be able to make the documentation of the evaluation available on the worksite for as long as the operator is employed by the employer (electronic availability at the worksite is one way to satisfy the requirement). While an employer may acquire operator certification through an accredited third-party organization, the employer may also develop its own “employer-audited” program to certify the “operators it employs.” A third certification option is to obtain a state or local crane operator license that meets OSHA’s requirements. The evaluation and documentation requirements become effective February 7, 2019. Rather than having to reevaluate an operator that an employer has already determined is competent to operate particular equipment safely, OSHA will allow employers that have evaluated operators before the publication of the final rule to simply document their previous evaluation of those operators. OSHA does not require certification of operators of cranes with lifting capacities of 2,000 pounds or less. The final amendments were published in the November 9, 2018, Federal Register.